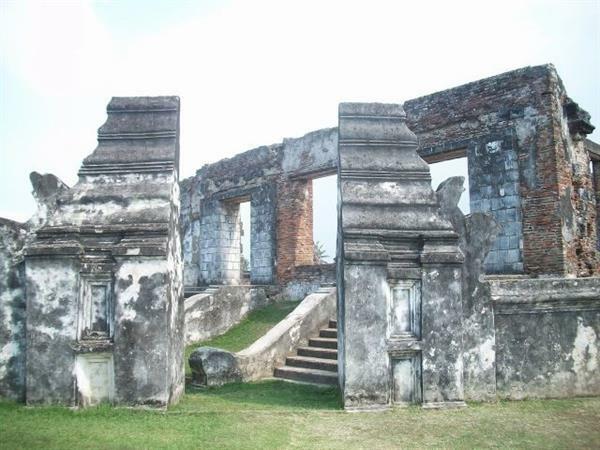 Citadel of Speelwijk is one of historical site in Banten that located one hour drive away from the hotel, with an easy acces you can reach the Citadel by Jalan Raya Modern Industri continue on Jalan Tol. Jakarta Merak follow to Jalan Bio Banten to Jalan Vihara. The remaining red-dyed rocks of Speelwijk Fortress in Pamarican Village, Serang, Banten, are the remains of this magnificent 17th century building. Made from a mixture of rock, sand and lime, Speelwijk Castle was built to anticipate the attacks of the people of Banten, especially the followers of Sultan Agung Tirtayasa. This fear is justified because at that time Banten Lama is still a big port city and contested by the Dutch and the people of Banten. In its heyday, Fort Speelwijk which has a height of 3 meters was built by Hendrick Loocaszoon Cardeel in the year 1681-1684 at the time of Sultan Abu Nas Abdul Qohar. While the name Speelwijk used to honor the Governor of Dutch East Indies who was still in power namely Cornelis Janszoon Speelman.